Welcome to my blog! This is my first blog post so I want to do a quick introduction… I’m Blaire, a self-taught baker, wife and business woman. I love to venture out and try new things, while traveling for work or Pinterest surfing I am always on the look out for mouth-watering desserts. 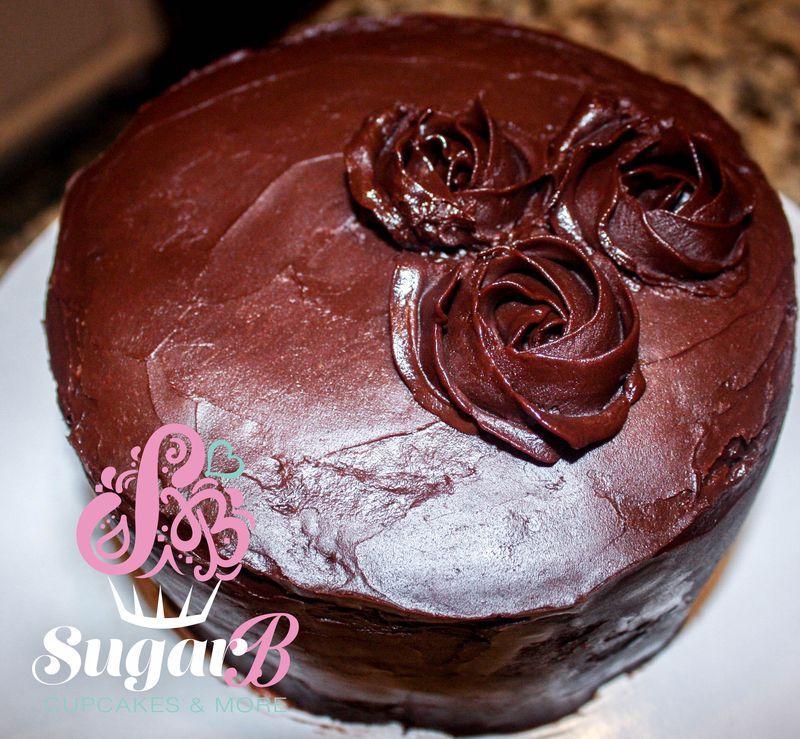 Recently, I completed my first cake decorating class, now my desserts must taste and look amazing, Sugar B approved! Taste will always be the most important factor for me, I promise that what you see in the pictures will always be the true result of my baking. I hate making a dessert that comes out looking nothing like the picture (this is especially true for frosting recipes). I’d love to hear from you if you have ideas for ways to improve, and stick with me while I work on my photography skills. And now, onto the important stuff, the sweets! I originally made this S’mores Cake for my husband and his twin brother’s surprise 30th birthday. It was such a big hit (there was literally none left) and I had so many requests for the recipe, it finally pushed me over the edge to start a baking blog. I’m not much for the extra fluff when looking at blog recipes, so I will walk you through my methods but try to keep it short and sweet (pun intended) :). To start, we make the best chocolate cake I’ve ever eaten. I make it for EVERYTHING. It is my go to recipe for anything chocolate and, trust me, you won’t regret it! For the purposes of this post, I only made a small two layer cake, but don’t worry the original recipe was used for the party and it’s definitely perfect!